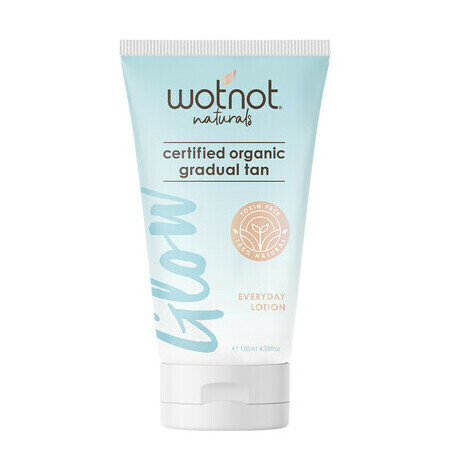 This WOTNOT Natural Golden Gradual Tanning Lotion is a velvety-soft blend of hydrating, skin-loving, organic ingredients formulated to nourish the skin while developing a beautiful, even, golden tan that is streak-free and fades naturally. 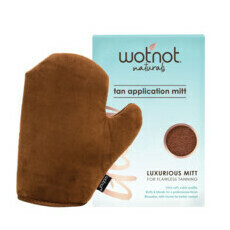 It has a pleasant fragrance from the natural ingredients and is suitable for sensitive skin. Containing Aloe Vera Juice, Coconut Oil and Olive Oil to deeply moisturise, soften and soothe the skin, it also contains anti-ageing Camellia Oil, Kakadu Plum Extract and Green Tea Extract to provide antioxidant-rich protection against free-radical damage. Aloe Vera, Camellia oil, Coconut Oil, Green Tea, Kakadu Plum, Olive Oil, Shea Butter, Sunflower Oil, Vegetable Glycerin, Vitamin E.
Purified Water, Aloe Vera Leaf Juice*, Dihydroxyacetone**, Coconut Oil*, Cetearyl Olivate & Sorbitan Olivate (Vegetable Emulsifiers), Sunflower Oil*, Vegetable Glycerine*, Olive Oil*, Camellia Oil*, Shea Butter*, Cetearyl Alcohol, Linseed Oil*, Xanthan Gum, Kakadu Plum Extract*, Green Tea Extract*, GMO-free Vitamin E, Sodium Citrate, Potassium Sorbate, Citric Acid, Natural Fragrance. 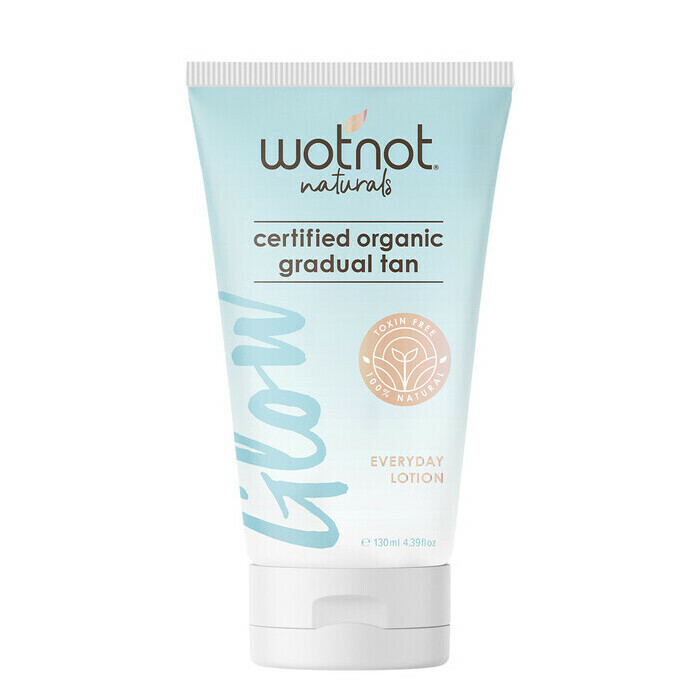 Apply to clean, dry, exfoliated skin in a circular motion. Use sparingly on knees, elbows and ankles. 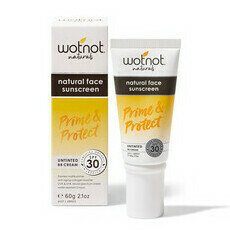 Reapply every 5 days to maintain colour. 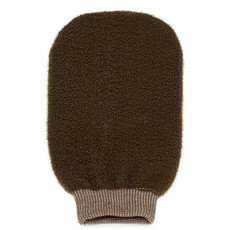 Detailed instructions on how to achieve the best results are included with the product.